Whether it's been prompted by the low interest rate or by uncertainty over future budgets and pension payments, Australian investors are making a stand. They are demanding more control of their money, and are increasingly looking for more transparent investments. Savings plans and term deposits hold little interest for investors at the moment and that's no big surprise. With interest rates at a record low, the returns are just not there. Investors say the share market provides them with choice, but is too volatile, while term deposits are 'safe' but unproductive. Research company Canstar suggests the four main investment choices for investors are shares, bonds, cash or property. Canstar's findings make interesting reading. According to the ASX's 2016 Long-term Investing Report, Australian shares averaged a 5.5% return per annum over 10 years to December 2015. This makes it the second-lowest-returning Australian asset class out of the four. Canstar says cash is the safest form your money can take but it generates the lowest returns. In Australia, cash averaged a 3.1% return per annum over 10 years, according to the ASX report. Australian residential investment property, however, as reported in the ASX's 2016 Long-term Investing Report, averaged an 8% return per annum over the 10 years to December 2015. Many believe investing in property is too expensive and hard to get into, but still agree it is a favoured asset class, particularly as the property market has been booming across parts of the country recently, particularly in Sydney. According to the CoreLogic RP Data Daily Home Value Index, as at 11 July, 2016, Sydney house prices have risen 10% since the same time in 2015. Investing in Australian real estate, however, doesn't have to mean purchasing your own investment property. 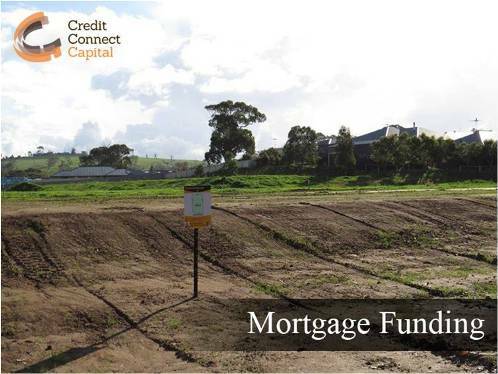 Mortgage investment opportunities are increasingly being seen as a smart move for those seeking a better return on their money, as evidenced by the wide range of clients working with Credit Connect Capital Ltd.
With many decades' experience behind them in the financial solutions market, Credit Connect Capital works with charities, corporations, public and private superannuation funds, religious groups, sovereign wealth funds, high net worth individuals, private loan lenders and family offices. That wide range of clients is testament to the fact that Credit Connect Capital Ltd is seen as an experienced and trusted financial expert. It works like this: Credit Connect Capital Ltd is a public company that holds an Australian Financial Services License (AFSL). CCC Australia's fund managers are licensed to operate a mortgage and property fund - and are dedicated to providing a consistent and superior service, to both investors and borrowers. Specialists in property finance, Credit Connect Capital has a range of loans available to businesses, ranging from Construction & Development Loans up to $50,000,000, to Short Term Loans, from $50,000 to $10,000,000. The company loans money to experienced developers, with the loan secured by a mortgage over real Australian real estate. A construction & development loan may be over one to four years, from 8% per annum. Credit Connect Capital can then offer its investment clients a very healthy mortgage investment opportunity. Here's an example. An experienced development company based in Melbourne is seeking first mortgage funding of $20,000,000 to assist with the purchase of a property located in North Melbourne. The subject property is being purchased for $31,000,000. The loan was for a term of 12 months, with an LVR of 64.51%, and was secured by registered mortgage over the property, giving Credit Connect Capital an opportunity to offer its investors a return of 10% pa on their money. Easy to see why that investment is a lot more attractive than a term deposit right now! When considering mortgage investment opportunities, there are certain factors you should look for. For starters, only ever deal with a company that has a proven record in successful mortgage investments. Secondly, avoid pooled funds. Once commonly used, pooled mortgage funds were the hardest hit in the GFC. They work by 'pooling' investments into one fund. A contributory mortgage fund - which is what Credit Connect Capital offers - comprises multiple schemes, is completely transparent as you will know specifically were your funds are being invested, opposed to a pooled fund where you don’t know where your funds are directly being invested. Contributory mortgage funds give the investor more choice as well as the opportunity to receive monthly returns, straight into their bank account. This latter point is very important when you are retired, and seeking a regular income.